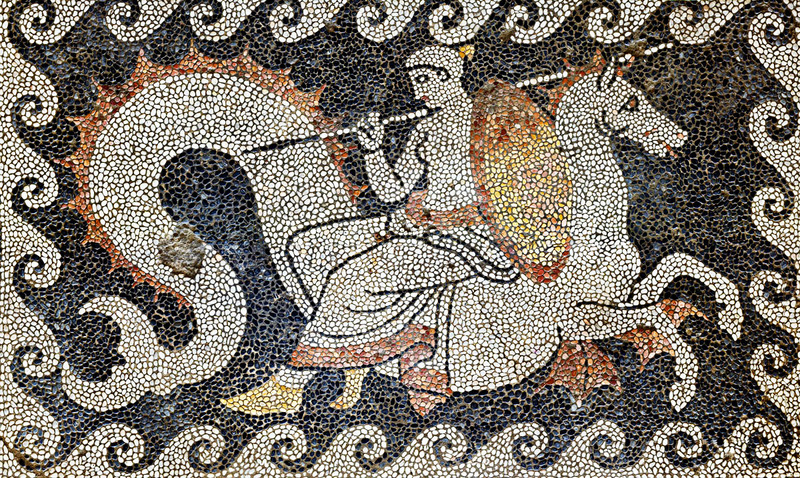 Thetis Seated on Hippocampus, Delivering the spear and shield of Achilles. Thetis Seated on Hippocampus, Delivering the spear and shield of Achilles. Ancient Greek Mosaic from Eretria, ca. 400-350 BCE.